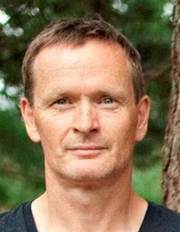 Arne Klungland’s research field concerns DNA repair and DNA and RNA modifications. He is a most dynamic and creative researcher and is in the forefront of this highly competitive area. He has developed new methods for the study of DNA modifications, of which several have been patented and commercialized. Professor Klungland has a major impact on the research environment and has supported many young researchers who now have leading positions. Professor Klungland has demonstrated expertise and skills in applying basic science discoveries to common clinical problems and has a major impact on significant collaborative activities. Undoubtedly, Arne Klungland will continue to play a leading role and guarantee innovative research at Oslo University Hospital.